As healthcare facilities have grown in sophistication, so has their reliance on equipment, specialized environments, and computer systems. Hospitals give special meaning to “24/7 mission critical” and “life safety.” Oversight by JCAHO (Joint Commission on Accreditation of Healthcare Organizations) demands that fire protection system Inspection-Testing-Maintenance records be kept current and accurate. 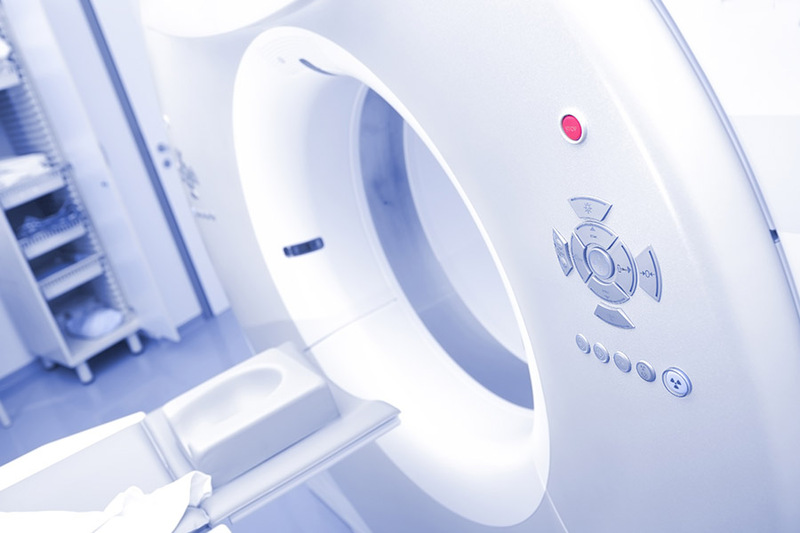 MRI Machines - Sophisticated and expensive equipment, such as magnetic resonance imaging (MRI) machines, are often used to provide diagnostic services that are critical to a hospital’s mission. MRI machines pose a unique fire protection challenge for a hospital, not only because the tremendous energy used can be a source of fire, but also because traditional fire fighting techniques cannot be used in proximity of the machine’s magnets—without posing an undue risk to the patient, who may be immobilized. And when the equipment replacement costs as well as the business interruption costs are added in, it becomes clear that the protection of MRI machine is vital to a hospital’s continued productivity and profitability. Data Center – With the rise in electronic medical records and other electronic systems that rely on data, healthcare facilities often must maintain their own data centers. Spot detectors – Passive detection that activates when the smoke reaches the detector. Air Sampling Smoke Detection – Active detection that continuously draws air from the room to a high sensitivity detector. Provides very early warning that a fire is starting. Can be used to monitor return air grilles where room air flow is high. Beam detectors – Consisting of two parts mounted on opposite sides of an area; transmitter and receiver. Smoke particles that pass into the beam activate a warning or alarm condition. The newest technology is not easily susceptible to false alarms. Spot detectors – Passive detection that activates if heat in the area around the detector exceeds a predefined threshold. A control panel releases clean agent into the room and/or under floor when a designated number of detectors activate. Widely used in data centers. Clean agent is waterless and does no harm to electronic components. Data center can remain operational during a discharge. New technology that atomizes water droplets into a non-conductive fog that suppresses fire without water damage. Presently used in data centers in the United States and Europe. AHJs have begun accepting water mist as an alternative to traditional sprinkler systems.